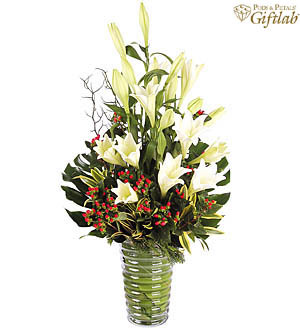 Classic Madonna Lilies to deliver flattering messages of elegance. Measures approx. 80cm.